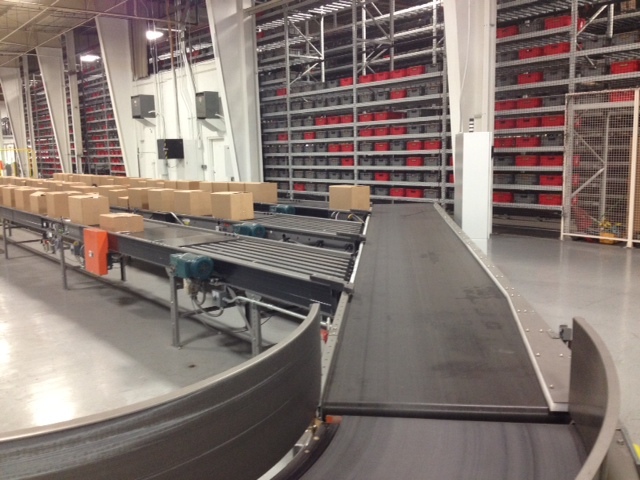 When it comes to conveyors – or finding the best way to move product from receiving to storage and out to shipping, E-Distribution has it covered. Our conveyor specialists start with a complete analysis of your product mix and units stored, whether pallets, totes or cartons. We then assess your material flow system from induction of conveyor through forklift removal, packaging, palletizing and truck loading to design the most effective conveyor solution for your operation. 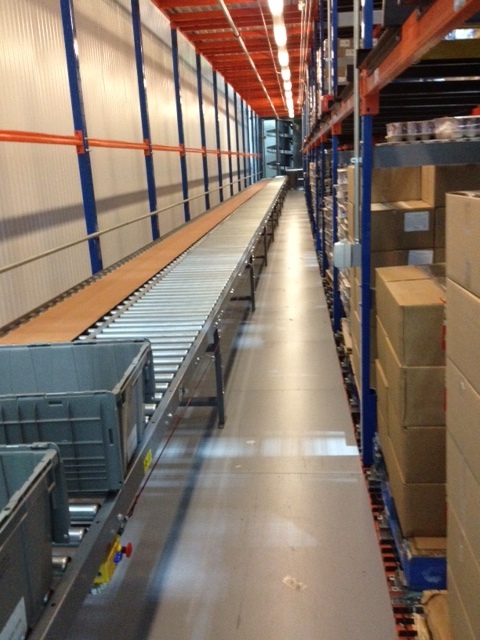 Conveyor systems are the hardware backbone, using either a roller conveyor system or conveyor belt system. E-Distribution also provides the controls, control software specific to your application, or WMS/WCS control software directing the unit handled through sortation to dock doors or palletizing areas. We can customize the system to communicate order and shipping information to your existing in-house software, helping keep the cost of new software and training to a minimum. Transportation Conveyor – Moves boxes, totes or pallets from point A to point B from manufacturing to further process, or totes and cartons from picking areas to dock or pack stations. 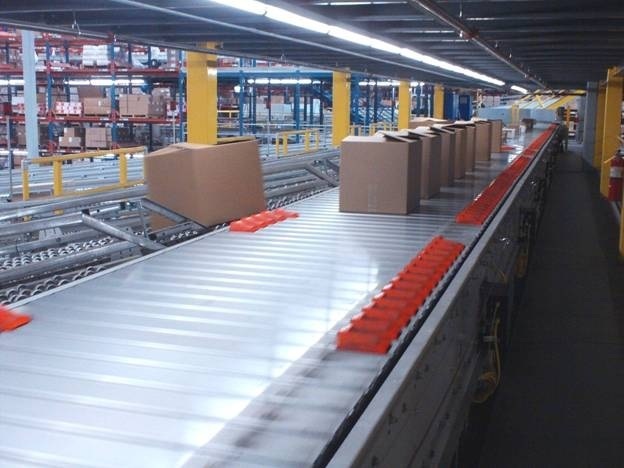 Accumulation Conveyor – Accumulates pallets, totes and cartons on conveyor prior to scales, scanning, and diverts that allow the product to be moved in bulk or single cases on conveyor more efficiently. Controls – Controls provide the scanning, routing, sorting, and weighing of products as they move through the conveyor system. Our control software will interface with most in-house warehouse management software systems to provide two-way communication throughout the day at your facility.